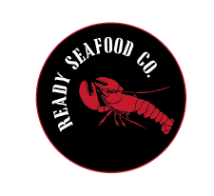 About - Ready Seafood Co.
John and Brendan Ready grew up on the water in Cape Elizabeth, Maine where they were introduced to the lobster industry at an early age. By the time they were 9 years old, they were both harvesting lobsters from their own boats and traps. With the hands on experience they gained on the water, they wanted to explore the business end of the industry, each pursuing business degrees. John graduated from Northeastern University in Boston with a dual concentration in Entrepreneurship and Marketing and Brendan with a concentration in Marketing from Stonehill College in Easton, Massachusetts. Today Ready Seafood buys and sells over 15 million pounds of live and processed lobster annually. We feature an expert shipping and receiving department, a well organized administrative department, an unparalleled sales team as well as an on staff marine biologist who will help ensure our lobsters are the best and our resource remains sustainable for generations to come. Our exceptional crew runs three packing and grading shifts daily, 24 hours a day, 7 days a week. Ready Seafood sources millions of pounds of live lobster annually from the Gulf of Maine to the Canadian Maritimes. We ship to all major destinations both domestic and international. While we have grown substantially, we have not lost focus on our ultimate goal: delivering quality lobster to our customers.